2, 4, 6, 8: A fun chant for your first and second graders! 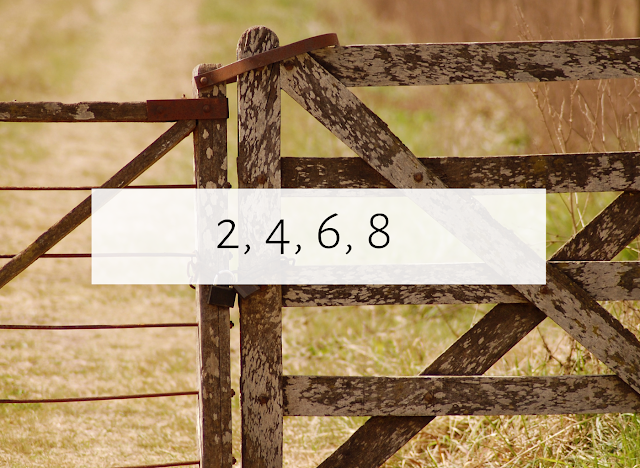 Today I'm writing with one of my favorite chants for the music room, "2, 4, 6, 8." Now you may be thinking...okay, great...but what's the game? This is one of the few that I have in my music room that I don't have a game for. Now, I could do some research to find one (and feel free to comment below if you do a game with it) or I could make a game up...but I like to have a few songs and chants that just don't have a game. ("Miss White" and "Kookaburra," for example, are two that I'm fine not playing a game for!) 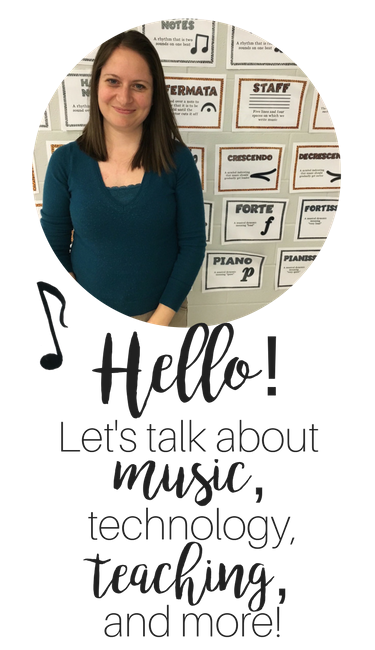 Kids need to know that not EVERY single piece of music has a game, and besides, this one can be used to improve partwork skills! To teach the ostinati, I first make sure that students know the chant well. 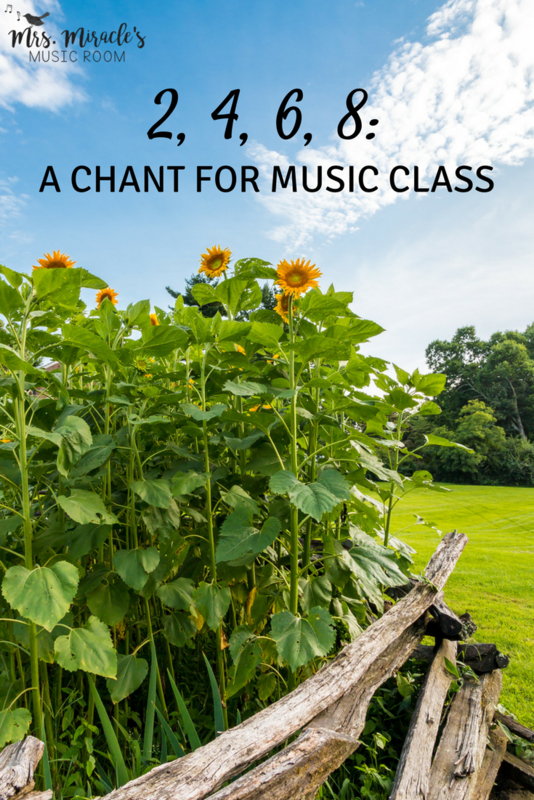 Then, I have them say the chant while I say the first ostinato. They figure out that I'm saying something different, and they identify the words and motions, then they try! 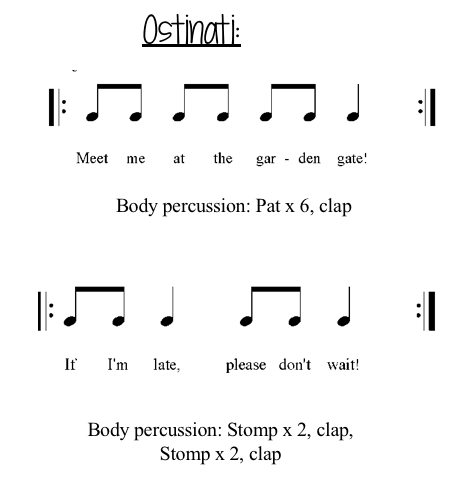 At this point, you can also teach/ review the term "ostinato," which I simply define as "a repeated pattern." 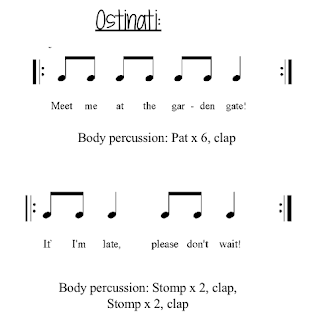 In the next lesson, you could review the chant and the first ostinato, then teach the second ostinato, much like you taught the first ostinato! I love how the second ostinato is just a little different than the third line of the chant...it really makes them listen! Wondering what all of this might sound like together? 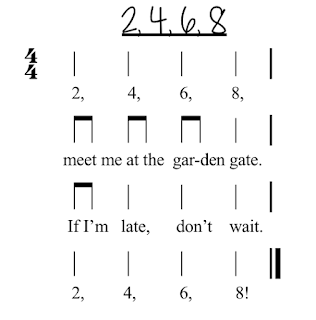 Here they are, starting with the chant, then adding in each ostinato. The first time I teach all three parts with my students, their eyes light up with excitement! It's such a great way to work on partwork skills and get them ready to eventually sing and/or play in harmony! And of course, I love to use it to prepare or practice ta and ti-ti. 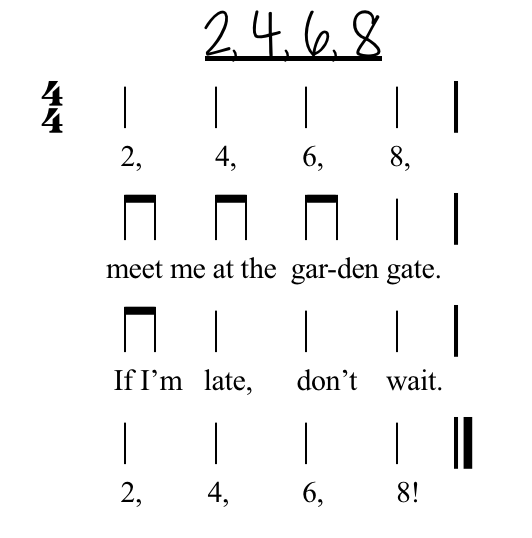 It has some common ta and ti-ti patterns in it, but then the rhythm of the third phrase is a bit uncommon (ti-ti ta ta ta), so it's great for practice! Looking for more materials for ta and ti-ti? 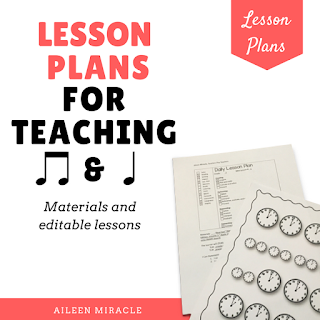 I just posted these set of lesson plans, which includes four 35-minute lesson plans and 11 mini-lessons, for a total of 15 lessons, all focused on ta and ti-ti. The set is editable, and also includes materials, songs and chants, and overview, and more! Hope your students enjoy this fun chant as much as mine do! Happy teaching!